Should the Lynx be rewilded in the UK? A captive breeding programme that has tripled numbers of lynx in Spain over the last 15 years may now be followed by the reintroduction of the lynx to the UK after an absence of more than 1,000 years. While the return of a major predator worries farmers, the tufty-eared cat is proving a major hit with others in both Spain and Germany, writes Fergal MacErlean. In 2002, things were looking bad for the Iberian lynx. Once widespread in Portugal, Spain and southern France there were fewer than 100 adults left – all in southern Spain – and only 25 breeding females. Cork oak forests, the lynx’s favourite habitat, had been being felled or thinned for more than a century, and the move to screw-top wine bottles was threatening even what remained. At the same time the rabbit population, the lynx’s main food, had been ravaged by disease. It was at this point that urgent steps were taken to capture young animals and start a breeding programme. The first animals born in captivity were released in 2010. In 2014 and 2015, 124 animals were released. By the end of last year there were 400 lynx on the Iberian peninsula, the vast majority in Andalusia, in southern Spain, but with smaller new populations in the hills near Toledo, in Extremadura (south-western Spain) and in southern Portugal. Just occasionally the breeders have been surprised by one of these reintroduced lynx. Most scent-mark a territory of 20 sq km and stay put to defend it – though the territory of males and females may overlap – but four of the released animals have gone wandering. Two brothers, Kahn (pictured at the top of the page) and Kentaro (pictured at the bottom of the page), have been followed thanks to the GPS transmitters they wear, with Kahn heading north and west, Kentaro south and west. Contact with Kentaro, who is now surviving on roe deer rather than rabbits, is about to be lost, as the battery in his transmitter is running out. Efforts to capture him over the last month, in order to replace the battery, have proved fruitless. “He is not entering the traps. Whenever he sees anything strange he goes the other way,” says Ramon Perez de Ayala, head of the WWF-backed LIFE-Iberlince recovery programme. The Iberian lynx differs in some respects from the Eurasian lynx, the species that populates other parts of Europe. It’s smaller, with shorter fur and darker spots. While the Iberian lynx eats mostly rabbit, the Eurasian lynx eats mostly deer – it’s the third largest predator in Europe after the brown bear and the wolf. One competes with foxes for food – the other eats fox. But the success of the Iberian lynx programme provides encouragement to those hoping to reintroduce the Eurasian lynx to Britain. “The Iberian lynx project has been incredibly successful and we hope to emulate that in the UK,” says Dr Paul O’Donoghue, an adviser to the International Union for Conservation of Nature cat specialist group. While the UK could support hundreds of lynx, he says, the Lynx UK Trust aims to start with a five-year pilot project that will see the release of three male and three female animals of breeding age from Romania. In July the Trust will apply for a licence for a single unfenced site in one of five locations in Cumbria, Norfolk, Northumberland, Argyll and Aberdeenshire. This could see the lynx released as soon as the autumn, though it may take longer to persuade people in the community that they do not present a threat. Completely harmless to humans, they have been known to kill sheep in Norway, and in the French Jura mountains. O’Donoghue, though, thinks the threat to British sheep is minimal. He describes the lynx as a “deer specialist” – it can be used to control excessive numbers of roe and muntjac deer – and a “forest ambush predator”. “You will never see Eurasian lynx running across an open field,” he says. In Spain a compensation programme has also helped to assuage farmers’ concerns about the lynx reintroduction programme – in their case, the casualties have mostly been poultry. Whether or not lynx are a threat to British sheep, it does appear that they could excite nature lovers. In Spain companies are already offering tours promising customers a chance to see the elusive creature in the wild. 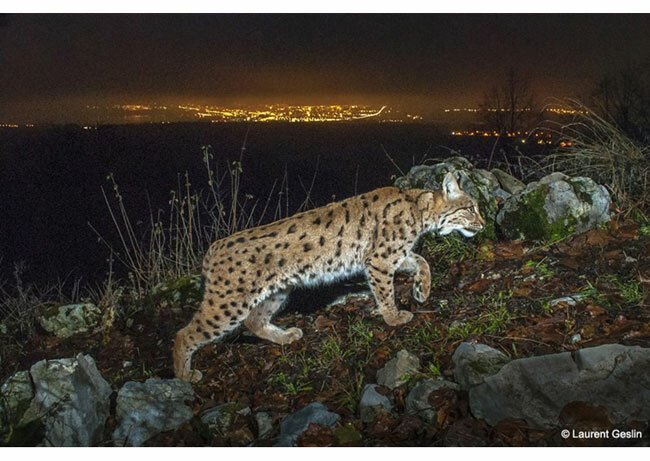 In Germany, meanwhile, the Harz national park has been rebranded as “lynx country”, with a lynx enclosure near Bad Harzburg as the main attraction. Members of the public get a chance to watch the lynxes Pamina and Tamino climbing trees or on the prowl through woodland, as they are too tame to be released into the wild. 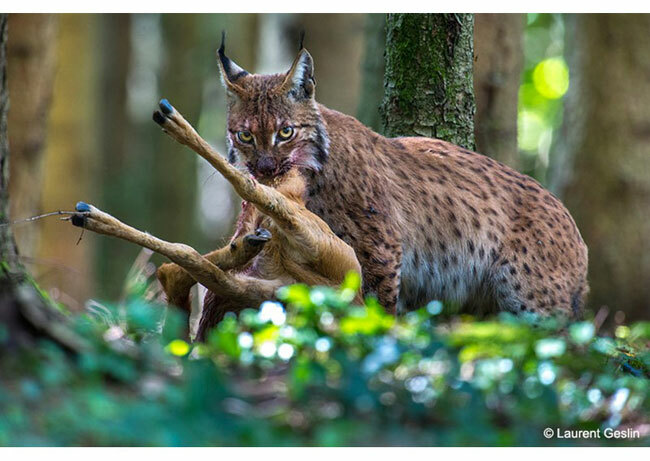 There are plans now to reintroduce lynx into the south-western German state of Rhineland-Palatinate too. The lynx is not an animal you are ever likely to see on a country walk. Those who want to see one in the wild will probably have to pay for the experience. But compared to the situation 14 years ago, things are undoubtedly looking up for the Iberian lynx – and the prospects for the “British lynx” are better than they have been for more than a millennium. This article was first published by BBC News on 28 Mar 2016. 1 comment to Should the Lynx be rewilded in the UK? For god’s sake, do not release them in Aberdeenshire, they will be slaughtered by gamekeepers ! The only ‘wildlife’ tolerated by the so called shooting estates, is grouse / deer / pheasant, everything else is routinely killed to protect their interest. Sadly, the Cairngorms national park, has not moderated the estates behaviour at all.